There are few jobs in professional sport as tough as being an elite-level football manager. The stakes at the very pinnacle of the game are ludicrously high, with a poor run of results usually ending up in the boss being given the boot. However, one solace for those men in charge of the world's biggest clubs is that the pay is usually pretty darn good. Most of them are multi-millionaires, but which manager has been rewarded the highest financially for his efforts in 2018/19? Well, France Football have revealed the top five, with Atletico Madrid's Diego Simeone leading the pack by some distance. The fiery Argentine has reportedly pocketed €41m for the season, at least €10m ahead of the rest. Jose Mourinho is in second place on €31m, with his severance package from Manchester United after his sacking likely being a huge factor. Amazingly, Thierry Henry is actually third with €25m, despite the fact he was only in charge of AS Monaco for three months. Like Mourinho, the Arsenal legend received a huge severance package when he was offloaded by the French club. Pep Guardiola (€24m) and Ernesto Valverde (€23.5m) finish off the list. There's no place for Jurgen Klopp, Max Allegri or Niko Kovac in the top five despite the fact they're in charge of three of the biggest clubs in world football. 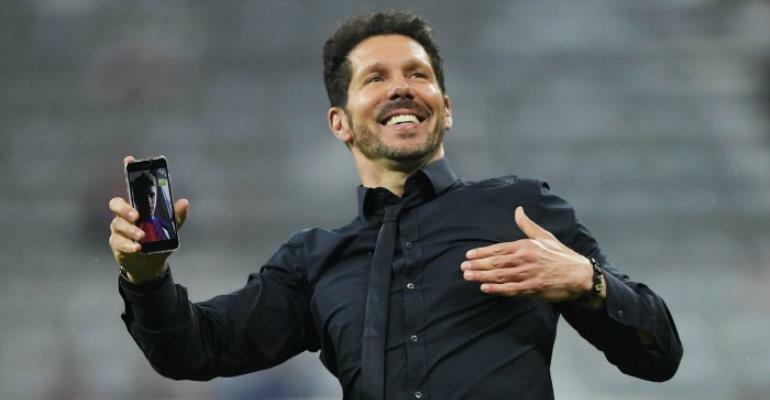 Simeone's €41m is quite a surprise, but the 48-year-old is already a legend as a manager at Atletico and has turned the club into a true European superpower. Every season, they compete with Barcelona and Real Madrid in La Liga - lifting the title in 2013/14 - and they have also been to two Champions League finals in the last five years. The club clearly know that keeping Simeone is of vital importance and the best way to do that in the modern day is with money. Below is a full list of the top 20 earning managers in the world, with Klopp (€13m), Allegri (€13.5m) and Kovac (€7.5m) making the cut this time around. The Chinese Super League appears to be very profitable for managers, with four making the cut. The absence of Thomas Tuchel at PSG on the list is rather baffling, though.